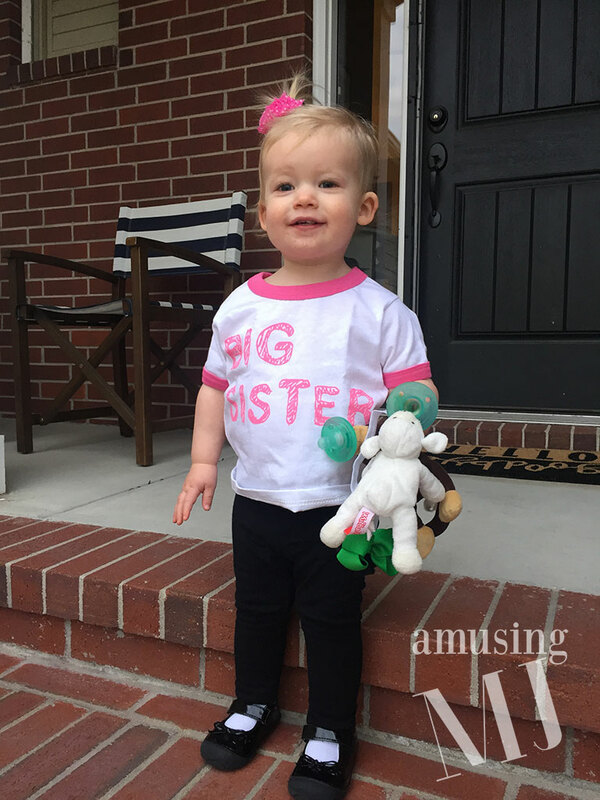 So, we announced on facebook yesterday that we are expecting baby girl #2 in our family! And even though anything resembling a routine feels like a long shot with a full blown toddler running around here, I’m going to attempt to weekly blog my pregnancy again… but no promises. A little week 1-15 recap: Reese and I found out we were expecting about 2 days before Christmas, mostly because morning sickness hit with a VENGEANCE. We knew we were only about 5 or 6 weeks a long, so we didn’t really want to share it with family/friends yet and wanted to confirm it with a doctor before we did. So I suffered through some pretty brutal morning sickness all day sickness through the Christmas and New Year’s holidays, trying out a few medicines before I finally found one that helped me keep food down. It unfortunately didn’t touch the non-stop nausea, but at least I could eat. We finally got confirmation from the Doc that everything looked good around week 9, so we began to tell our family. Other than the morning sickness everything seems to be going really well. We intended to announce to the world around week 12 or 13, but somehow just couldn’t get our life together to snap a picture or think of something clever. Then two weeks ago we did genetic testing (to each their own opinion on this, we decided to do it, much like we did with Taylor, because we are Type A personalities and want as much information as possible, not because it would change our love or feelings towards this child in any way) and so found out Monday of this week that she is a girl! I did at least have the nurse put the results in an envelope that Reese and I could open together instead of hearing over the phone. So here we are, the end of week 15, so far the first trimester has simultaneously flown by and drug on and on and on. I’m definitely ready to quit feeling nauseous, its getting better, but still not feeling totally myself. I am going to answer the same questions I did during the first pregnancy and this time I get to cheat and don’t have to look up what size baby girl is or what her progress is! Yay for cutting corners! Baby’s Progress: Baby can now hear! And baby is about to double in weight and add several inches in length. Baby is also pumping 25 quarts of blood a day… which feels like an enormous amount considering that baby is currently 4.5 inches long. Weight Gain: a couple of lbs. I lost about the same amount in first trimester I did with Taylor, but the pounds seem to be coming back a bit faster this time than they did with her! Sleep: I’m sleeping pretty well. It is funny to me how quickly I need a middle of the night trip to the potty. I feel like my body hadn’t really changed at all when I had to start resuming that nightly ritual. Milestones: We found out that she is a she! And told the world this week! I love everyone’s sweet well wishes and I love knowing that baby girl has such a strong support group out there excited about her arrival! It also made me realize how many people we know that have two girls! Favorite clothing item of the week: So I have been lazy and haven’t even busted out my collection of maternity wear. So far my pants mostly fit (if a little lower than normal) and I have plenty of flowy shirts that I can wear, but pulling that container out of storage is definitely on the agenda this weekend. 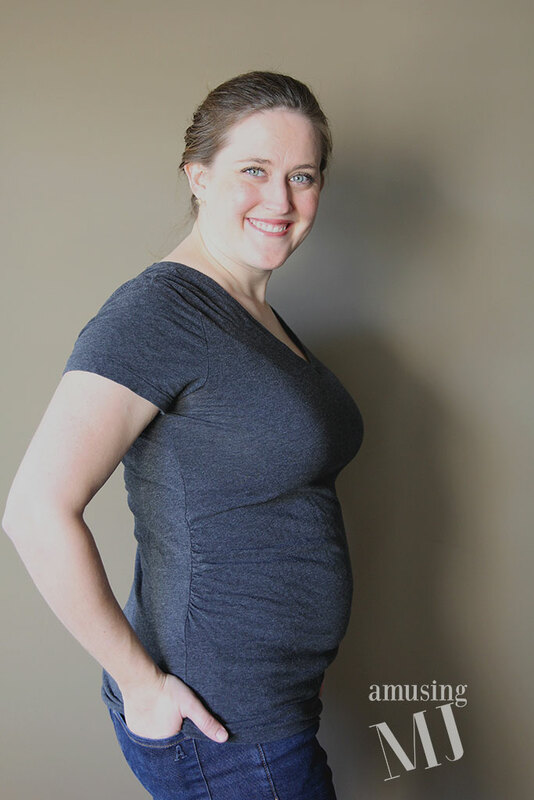 Also… I’m super bummed that Gap stopped selling any of their maternity wear in store. Now I’ll have to go online to order things! Bummer! Symptoms: I still have some nausea that just won’t seem to go away, I also still have a killer sense of smell… which is definitely not a plus with a toddler and a dog on scene. I also (like last time) get tired faster than I used to. I like moving at super speed all the time, and find myself walking fast and having to slow myself down because it has made me tired or more nauseous. Workout: I have been walking a bit and went to my workout class last week. I’m hoping to make it a few more times next week… we will see how that goes! You look beautiful….. Taylor is the cutest…Congrstulations to you, Reese and sweet Taylor…. I am SO excited for the weekly bump updates!!!!!! Maybe a little too excited. And Taylor does know she’s cute – I mean look at that squishy little grin! I miss y’all and love hearing this WONDERFUL news. Love and hugs to each of you! Congratulations! Blessings for a healthy journey. Yeah! We love her already and are glad you are starting to feel better. I read somewhere that households with two girls are the happiest 🙂 My parents and sister’s family would agree. 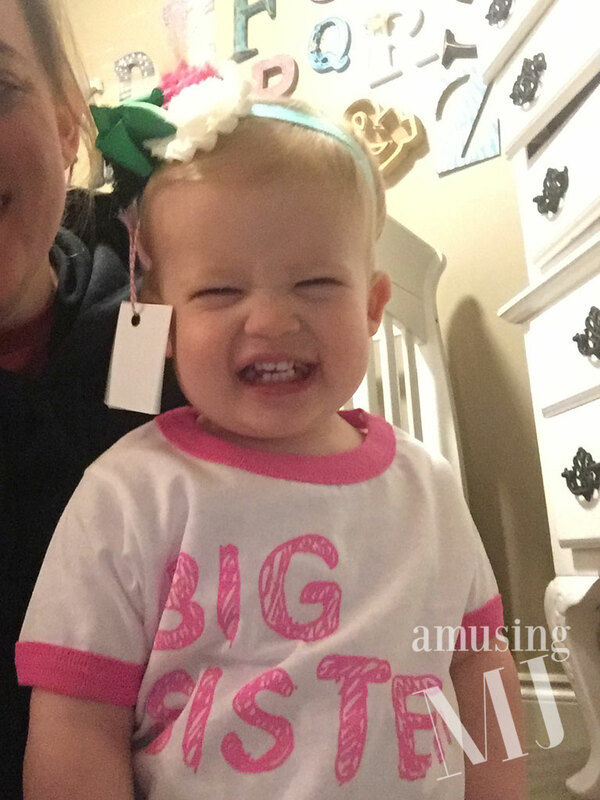 We can’t wait to meet this sweet pea!